We were all part of the hype that was the Royal wedding of Prince Harry and Meghan Markle and how it has created a huge and wonderful occasion over the last few weeks! It's a wonderful time to see more of the UK in its full, patriotic state! We love UK holidays and even weekend trips to London, even more so when it's in its prime with flags flying and the sun is shining! But, before you can travel and venture anywhere, peoples attention needs to be diverted towards the importance of car servicing and maintenance; you can book your MOT test at Fife Autocentre website and essentially, be given the Royal Treatment too! 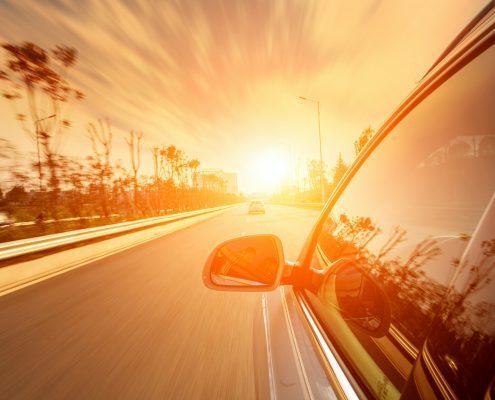 It's so important to ensure that if you drive, your car is fully functioning and safe and you have everything you need sorted for a road trip or holiday in the UK. MOT tests on cars should be carried out yearly with services alongside these usually every 10-12,000 miles! Making sure your tyres are within the legal tread limits (1.6mm across the central three-quarters of the tyre) and that all oil and water measures are full, if you were to ever breakdown or need assist traveling, knowing that you have done the basics will make it easier for a recovery service to help you get back on the road! We're heading to Cornwall this summer and a few things that I find help ease any issues if they occur are kept in a little 'recovery kit' in the boot of our car, meaning that if we are ever caught out, or even stuck in shed loads of traffic, we know we have some basics to see us through! Sometimes holidays can become a little same old, same old. 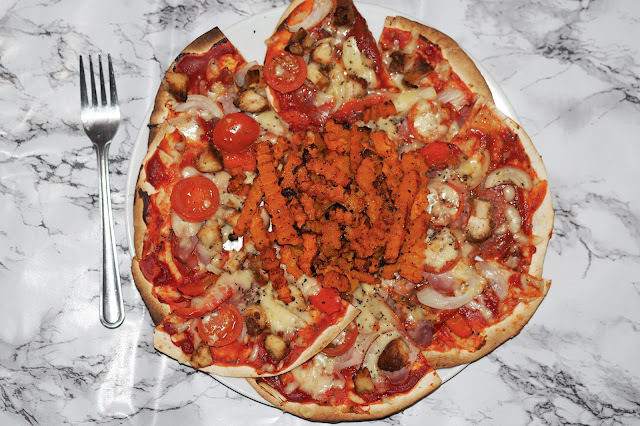 If you feel as though you are stuck in a rut with regards to how you spend your holidays, it may be time to get a bit creative and try something new. The usual two weeks in the med every year can become a little stale after a while and whether you are travelling as a family or you are single, it’s good to make changes once in a while. In fact, an activity holiday is probably more suitable to a family as you won’t get the “I’m bored!” statement every five minutes! I’ve never actually been Skiing but, I’ve been told that it's great fun and can be really exciting! The thrill of learning a new skill is great for building self esteem and the adrenaline rush of building up speed whilst travelling down the slopes will fulfill the needs of even the most serious risk taker! Skiing also has many health benefits, it's easy to forget that it is a great form of exercise, excellent for increasing stamina and coordination. It is also a sport which is done outdoors so you reap the health benefits of breathing in mountain fresh air. Skiing is excellent for families and children can receive expert tuition from a very young age on the nursery slopes. Andorra ski holidays offer excellent holiday options for visiting the Andorra region. Sailing encompasses a whole host of options. You could choose to learn how to sail a yacht, learn to canoe or book a holiday kayaking down one of the many white water rivers throughout the world. Sailing offers a freedom that is seldom met by other activities, you can choose to explore at leisure, simply visiting areas of coastline wherever the wind blows! If you find the thought of sailing your own boat a little daunting, you could charter a boat, complete withy your own skipper. You will have plenty of time for swimming, snorkeling and watching the sunset... Not so sure that we’d enjoy this though as Adam and Millie got super sea-sick on our last boat trip and it didn’t go down well! If you have a travel bucket list, going on safari is probably close to the top (it is for me!) The thrill of watching animals in their natural habitat is unsurmountable, especially when those animals are normally only seen in zoos or on the pages of a child’s story book. Kenya offers the ultimate safari experience, you can view lions, tigers, giraffes, elephants and zebras living amongst the forest and grassy savannah! How incredible would that be for your kids to witness!? Going on safari also offers an element of thrill and adventure. Setting off into the unknown protected only by your 4x4 is exhilarating. You can book various experiences, including river safari’s and nighttime safaris. Accommodation can be as luxurious or basic as you like, ranging from tents to luxury lodges! There are many travel operators that deal only with holiday experiences that are a little out of the “norm”. Do your research and book that flight! 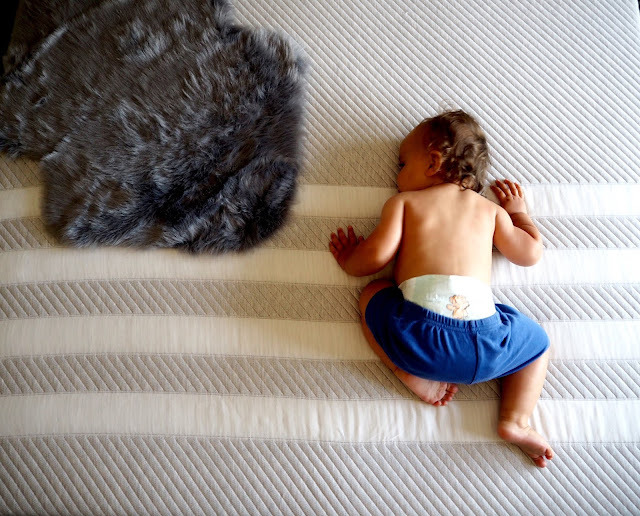 There's no denying that when you become a Mum, several things that may have seemed like a priority, soon gets pushed to the back of the line and you sometimes 'forget' to look after yourself. 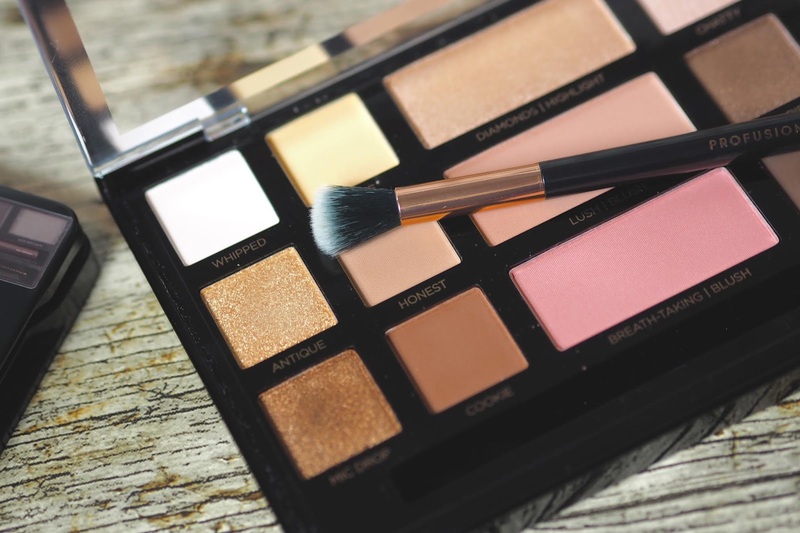 I know when I had Millie, so many things that I didn't appreciate being able to do - Makeup, Hair, even showering - became such a chore and being able to do them was a sheer luxury! 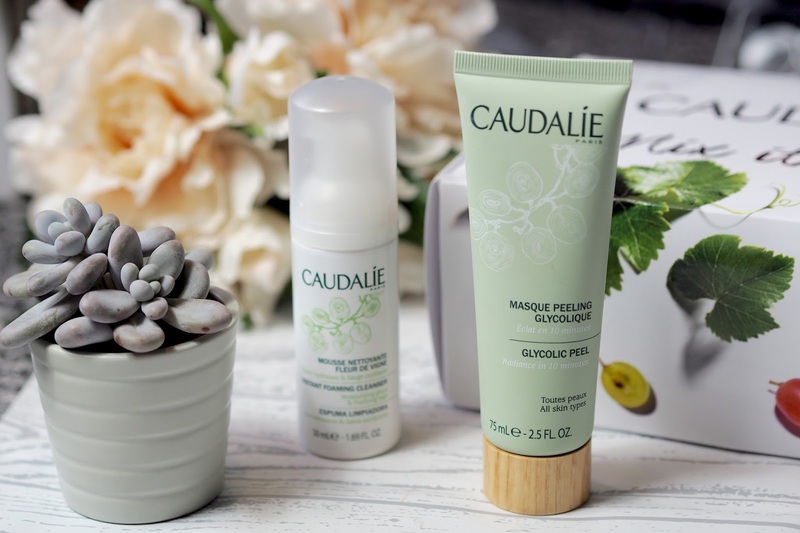 My makeup routine consisted of lip-balm and concealer, my hair was permanently in a bun and I was lucky if I got to shower alone and so even when it come to my skincare, that also took a knock and so I managed to find a few skin-saving ways to be able to look after my face and a few of them have stuck with me ever since! With both pregnancies, I was lucky that my skin remained the same! Some people can suffer with dry or sensitive skin during pregnancy and even develop pregnancy/adult acne! 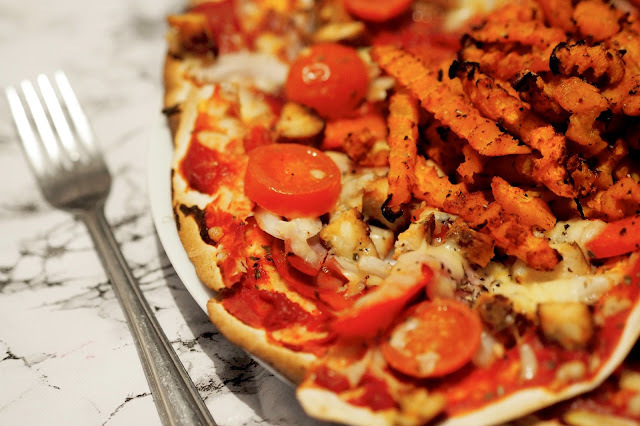 It's all to do with the imbalance of hormones and unfortunately, it is unavoidable. For some people, the acne can last post-pregnancy too and can begin to cause concern for those who have never suffered with it before, they may have several medical acne questions that they want answering however, acne is easily managed and easy to treat if you do the right things. Treat yourself to a facemask at least once a week! There are tonnes of sheet masks available now which means it's quicker and easier to treat your face to that 5 minute pamper! Simply stick on a sheet mask whilst you're bathing the kids or reading their bedtime story - you might scare them a little but it's better than what you could end up doing to your face permanently! 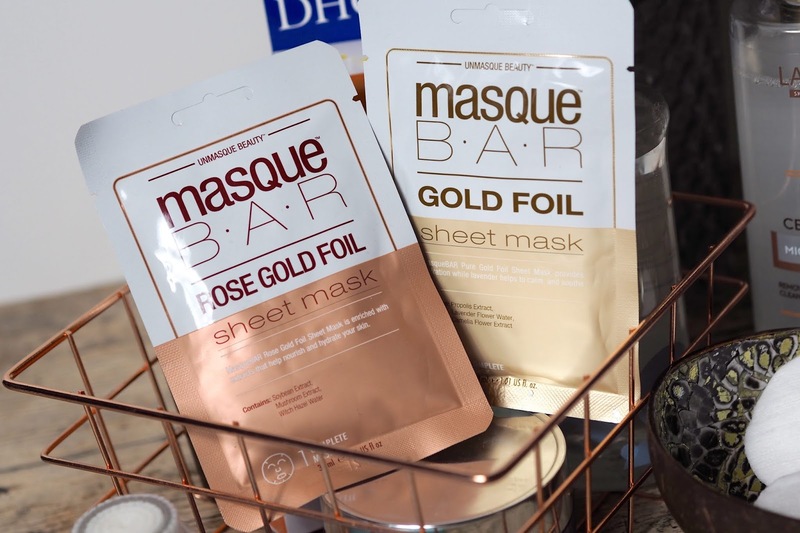 There are lots of varieties around but I love the Masque Bar Foil Sheet masks, they have Calming, Moisturizing and Brightening along with lots of others! Keep an eye roller or cream in the fridge for cooling and de-puffing eye bags! You're a Mum; the chances are you will have days that you wake up and your eyes are puffier than ever, using a cool eye roller or eye cream will help to settle the puffiness and will also feel lovely on your face! 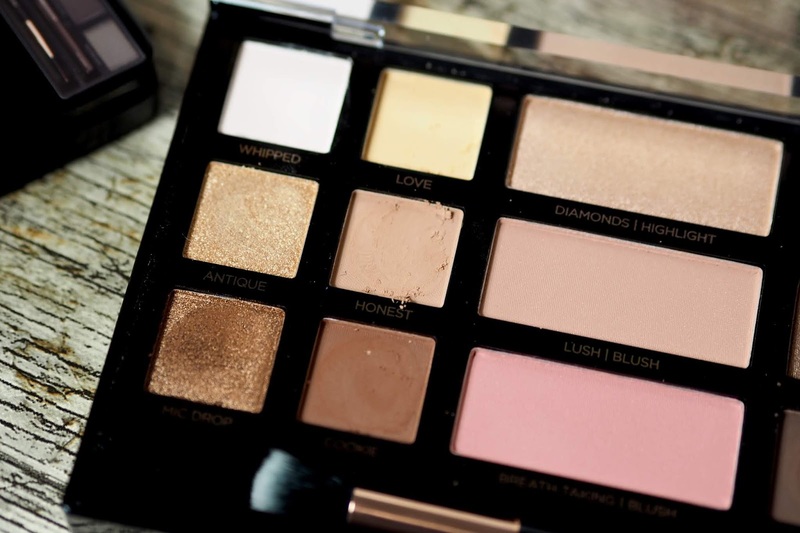 It can help brighten your under-eyes too! We love a multi-tasker! I love the Botanics Refreshing eye roller, it smells lovely and I keep mine just in the top of the fridge! If you don't have an eye cream, you can buy eye masks that again, you can keep in the fridge to keep them cool! The No7 Revitalising Hydrogel eye-masks are perfect for this! Forget the effort of priming, moisturising and then applying foundation, use a Tinted Moisturiser with SPF in to ensure you're protecting your skin from the sun but also giving yourself the coverage you need to make you feel a little less zombie! The No7 City Light Moisturiser has SPF 15 and you can usually grab a £3 off voucher from Boots if you buy some baby bits too meaning it would only cost £10! Bargain for something that is doing 3 things in 1! If you don't have time to sit and remove, tone and everything else your makeup, grab a Makeup remover cloth and take it all off in one! You can use Oils like the DHC Cleansing oil to break it up a little first and then one of the cloths to remove it completely! 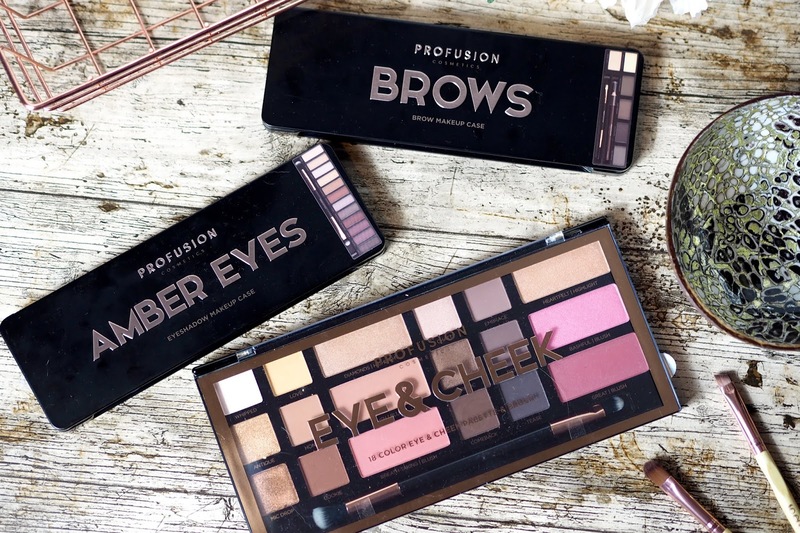 Primark have some fab ones in at the moment and they're super cheap too! If you're not into those, grab a decent Miceller water and ensure you take off the majority of your makeup with the cloth and then go over your face with a cotton pad and miceller water just to remove all of the nasties left on your skin! 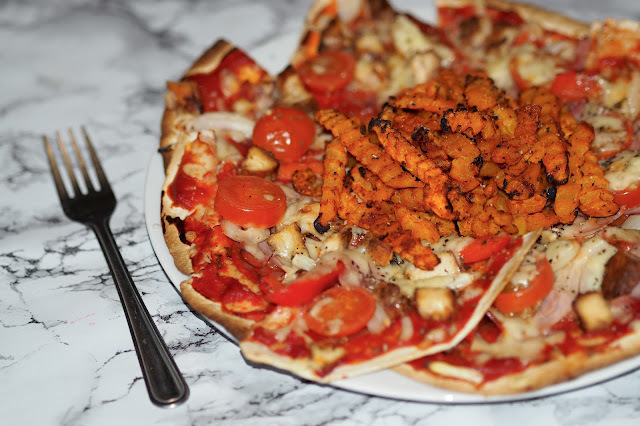 The Aldi 'Lacura' version is AMAZING! Use a Night cream even if you forget to use anything else! 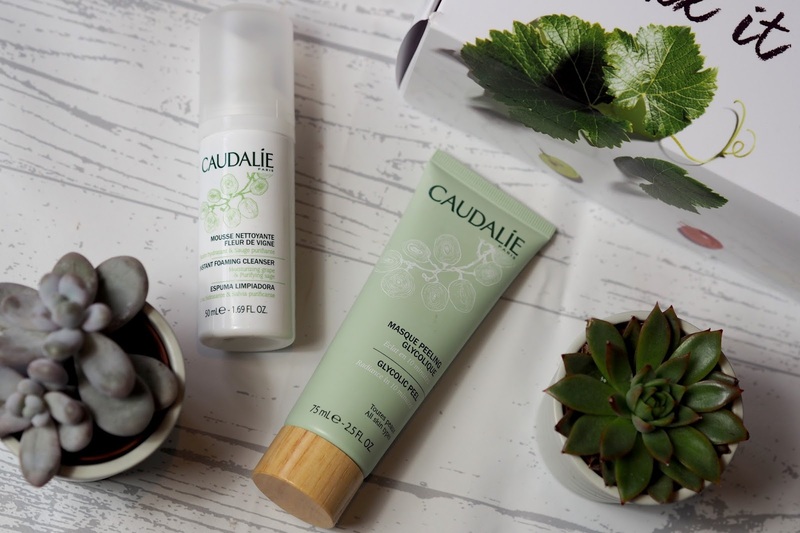 Our skin will appreciate the luxury of drinking up a night cream whilst we sleep and it doesn't take a lot to do! Keep your favourite cream by your bed so that even if you forget, it means you don't have to get back up to put it on! 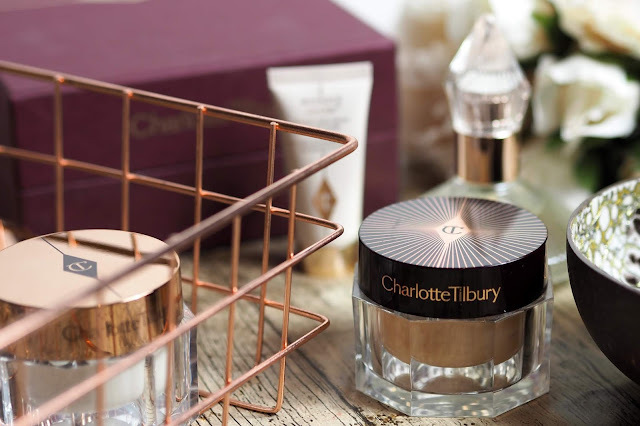 I love my Charlotte Tilbury Magic Night Cream at the moment, it's super luxurious but wow, it's such an amazing product! My skin feels brand new when I wake up! Skincare has always been something I've kind of just done. I've never been a massive lover of trying every new oil, elixr or cleanser as my skin reacts when I put too much on it. 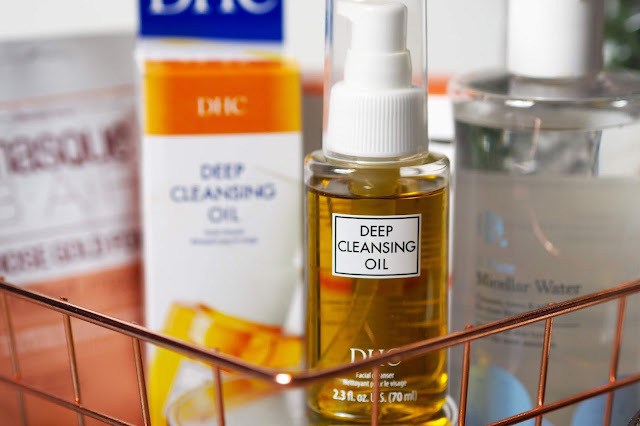 However, as I have Oily/Combination skin most of the time, finding things that really work for me can be difficult and so I'm always curious to try new bits when they're released. 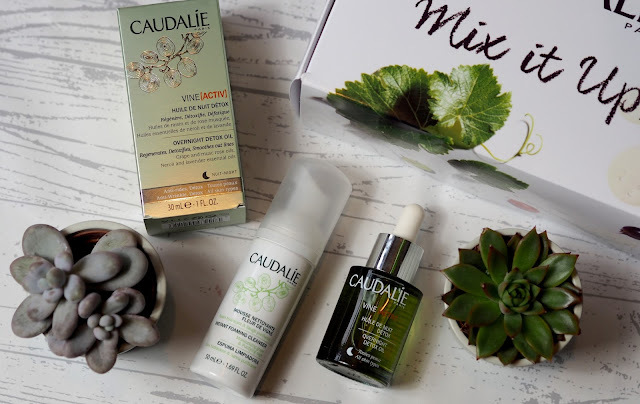 So when Caudalie partnered with Love me Beauty, I managed to get my hands on one of their 'Mix it Up' skincare boxes which included 4 of their favourite and most popular products. 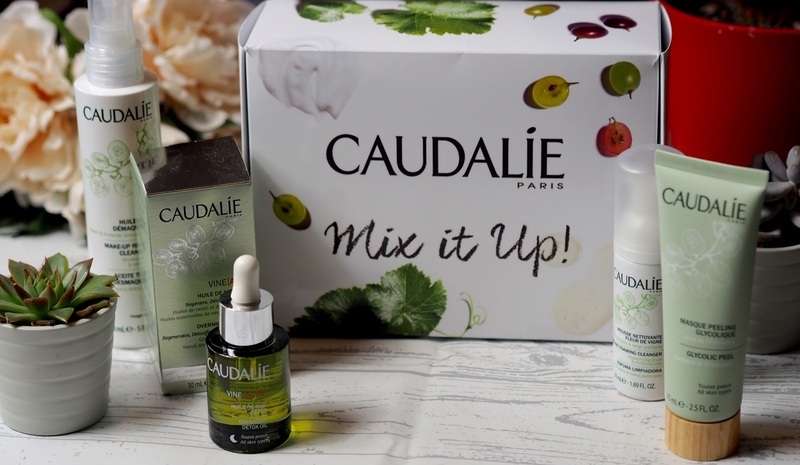 You can pick and choose the combinations that work best for you and your skin so if you have dry skin, you can use the detox oil to help replenish your skin overnight. If you want a deep cleanse, you can use the cleansers and mask! You see how it works... it's just about choosing what you want at any one time! The detox oil is one of my favourites, it smells like something you'd get treated to during a facial, infused with anti-oxidant grape-seed, regenerating rose hip, purifying neroli, soothing lavender and detoxifying carrot oils it smells incredible and leaves your skin feeling so soft! 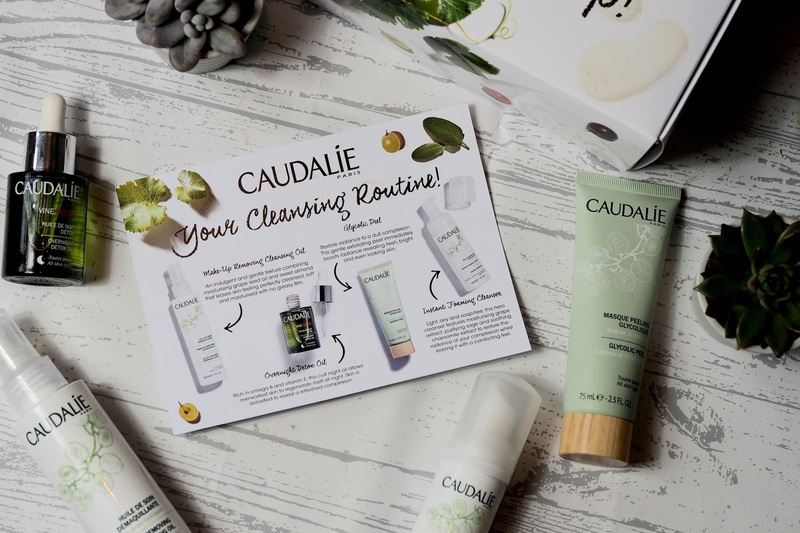 Use alongside the super soft, foamy cleanser which is infused with purifying sage and moisturising grape extract, the soap-free formula rids the skin of impurities and gently cleanses the skin! If you're looking for a better way to remove makeup instead of using those horrid makeup wipes, the Makeup removing cleanser oil is perfect - it works to dissolve all types of make-up, including waterproof, whilst removing impurities and cleansing the skin. 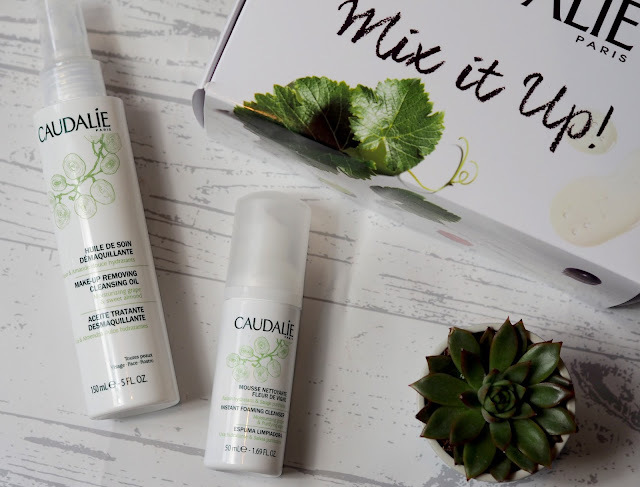 The blend of 100% naturally derived plant oils nourishes and softens the skin without leaving a greasy film, you can always use the foaming cleanser after for a double treat! 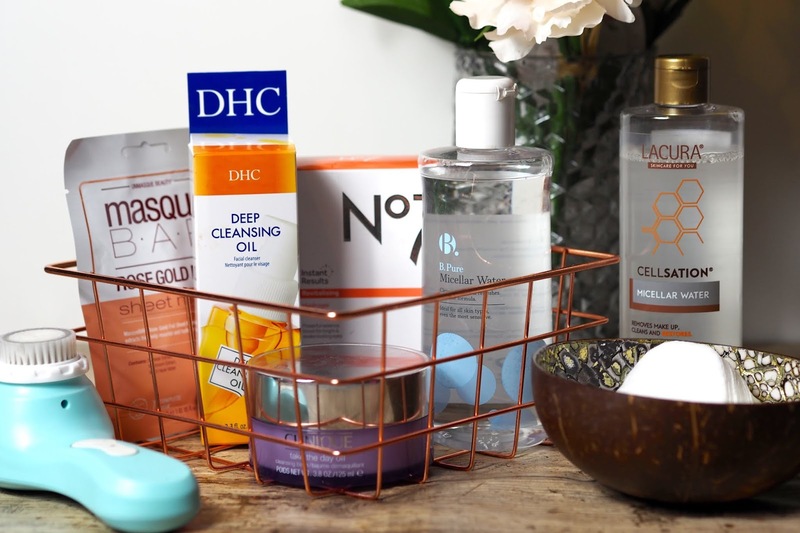 For an extra boost after any of these products, the Glycolic Peel is perfect, especially if you have a complexion in need of an instant boost! The peel works like a scrub and a peel at the same time, feeling luxurious and non-irritating, it provides the ultimate spa-like glow from the comfort of your own home. Apply the mask twice a week to dry skin, avoiding the eye contour area and simply leave on for 10 minutes then rinse with water. 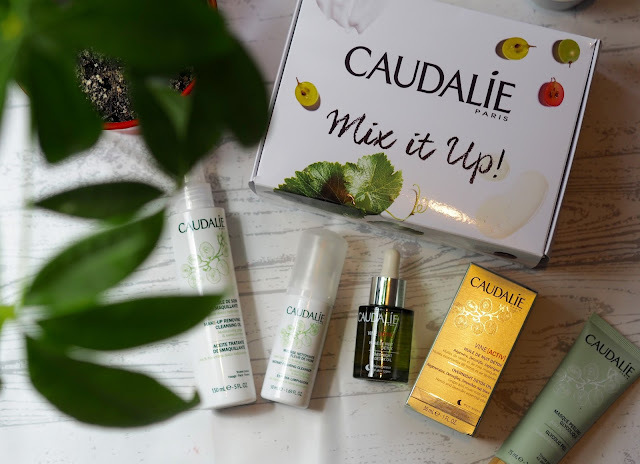 You can mix and match almost all of Caudalie's products to help give you the best combination of products for your skin type and issues. 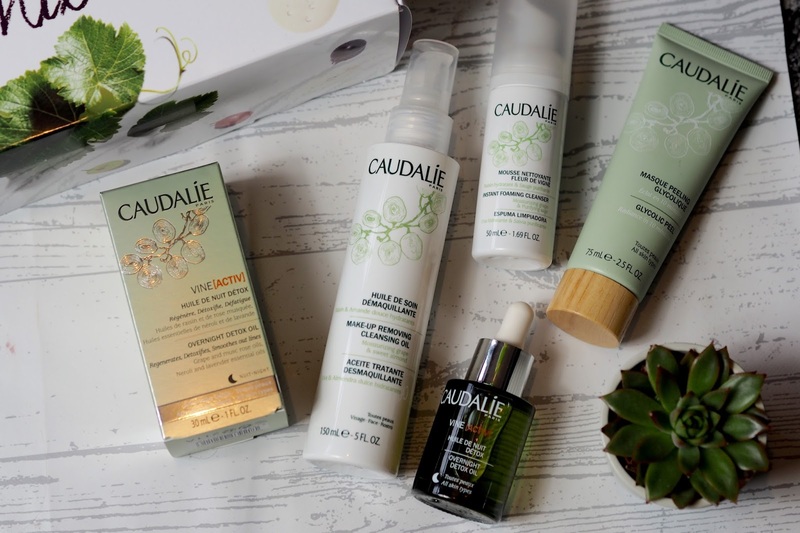 If you head over to their website, you'll find tonnes of products that will suit all skin types and even chat with an advisor online if you have any other concerns! The Eye and Cheek palette (£12.95) was the one I was excited to try the most - with 12 eyeshadows, 3 being metallic and the rest matte, 2 golden shimmers and 4 bright blushes, it has everything you need to create a day to night makeup look. 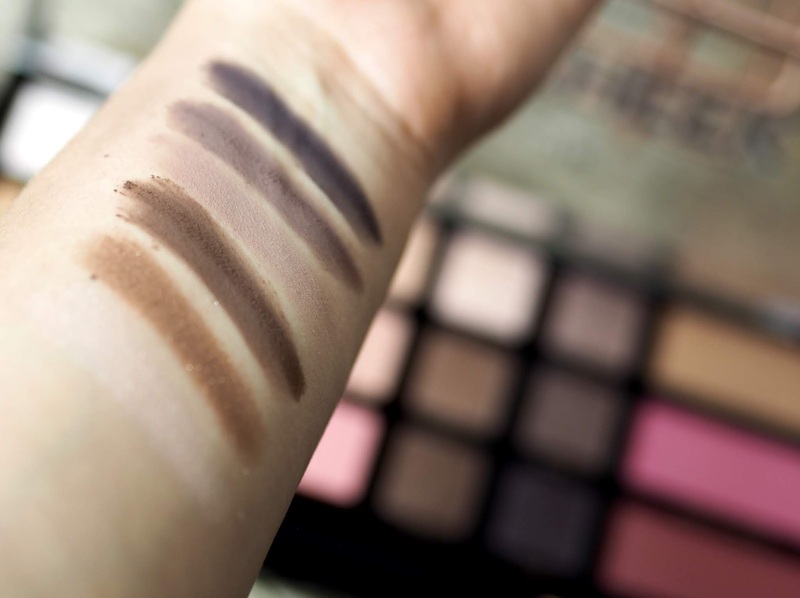 The colours of the eyeshadows are perfect and include some gorgeous transition colours too so you could use bolder colours on top if you wanted to create more of a bolder look. 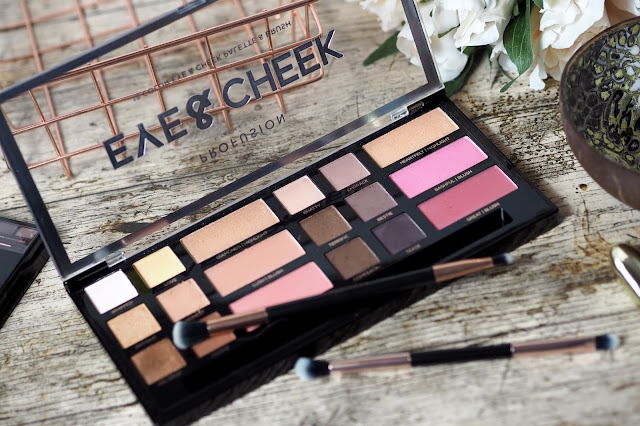 The size of the eyeshadows are fab, you get plenty of product in all 3 products; blusher, shadows and highlight, the blushers are just a little tricky to get to and you’d need to use a small blusher brush to pick up the pigment without getting any other shadows on the brush too. 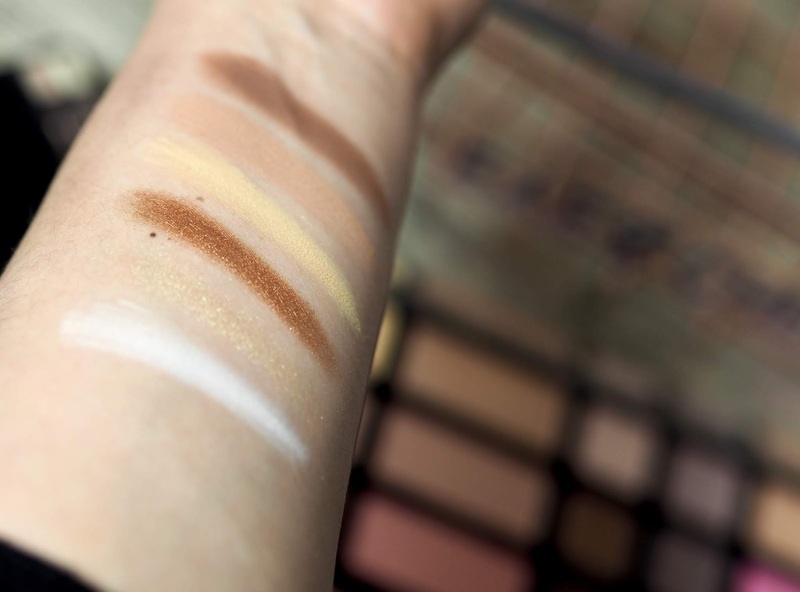 When trying the shadows out for the first time to get swatches, it was clear that the shadows were very powdery - especially the lighter ones (see next photo), they were very crumbly and made a bit of a mess of the palette once I had used my finger to get the pigment. 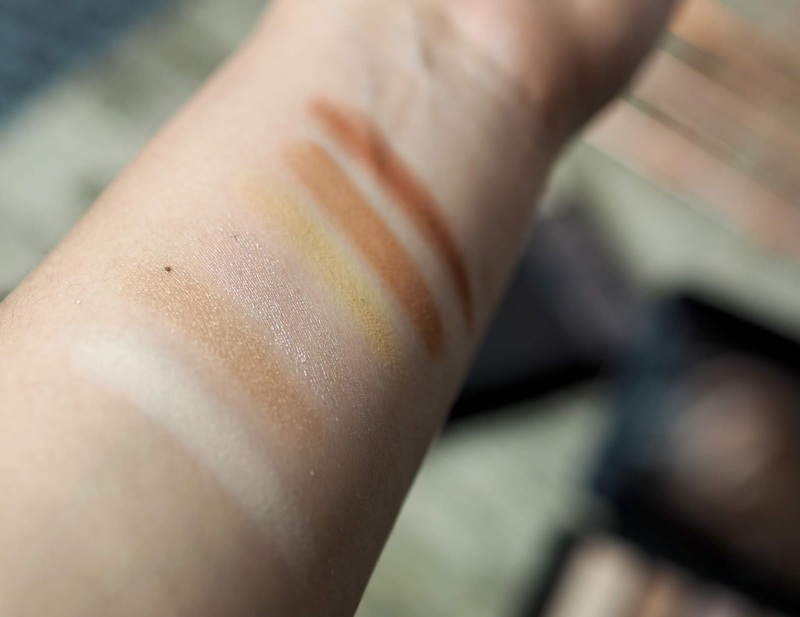 However, that said, the pigmentation is fab and all colours, light and metallics, gave off amazing pigment on the swatches. I did try with a brush and it didn’t leave as much of a mess or much kick-back but it also didn’t seem to pick up as much product. 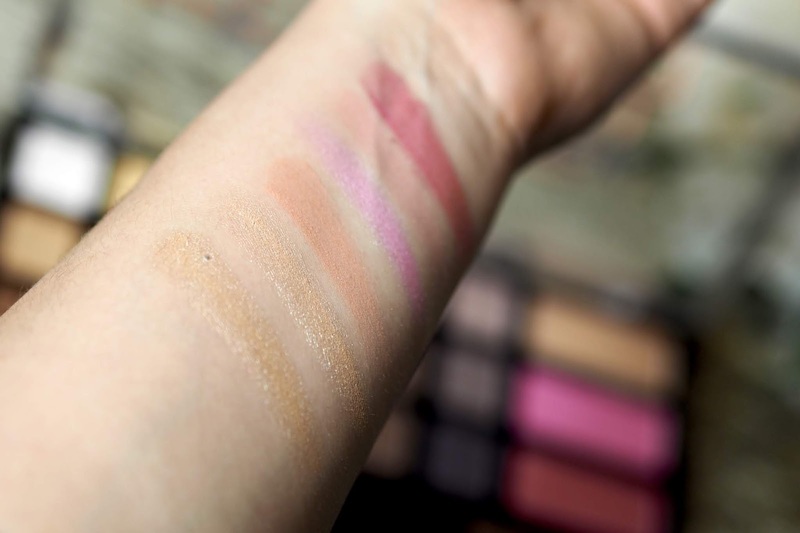 The blushers and highlighters again, have fab pigment and went on smoothly and didn’t have the powdery like consistency that the shadows did but again, when using a brush it didn’t seem to pick up a great amount of pigment, especially from the highlighters. I guess you can apply more if required but it’s very subtle. 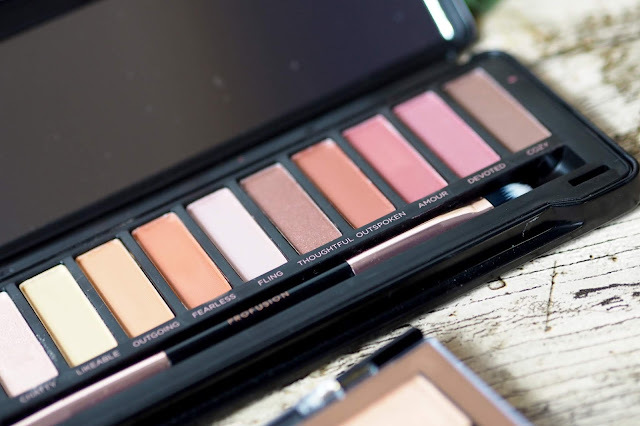 The next palette is the Amber Eyes palette (sold out) which I think is a little bit of a dupe for the Naked Heat palette - using burnt oranges and lighter colours, it’s a great summer palette to do more spring/summer looks with some lovely deeper transition colours. 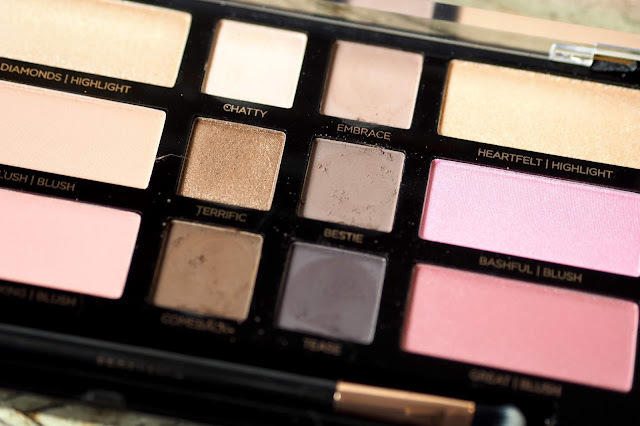 There are 12 eyeshadows in this palette, 2 being shimmer/metallic ish, and it comes with a double-ended brush. The shados in this aren’t as powdery as the ones in the Eyes and Cheek palette however, the pigment isn’t as good as those either - the darker colours come out better than the lighter and shimmer colours and again, it works best by using fingers rather than a brush but they do blend out nicely and are buildable so you’re able to get the intensity you want from the shadows if you work with them. 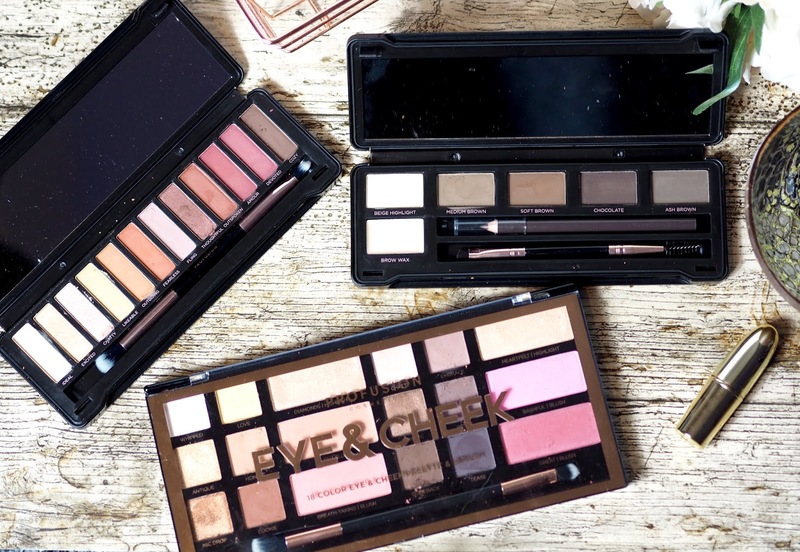 The packaging on both of the eyeshadow palettes is quite sturdy but it makes them quite heavy - the amber eyes palette has a built in mirror too which I like on eyeshadow palettes as you can use it for getting up close but I think that the tin case could be changed to make it more light-weight. 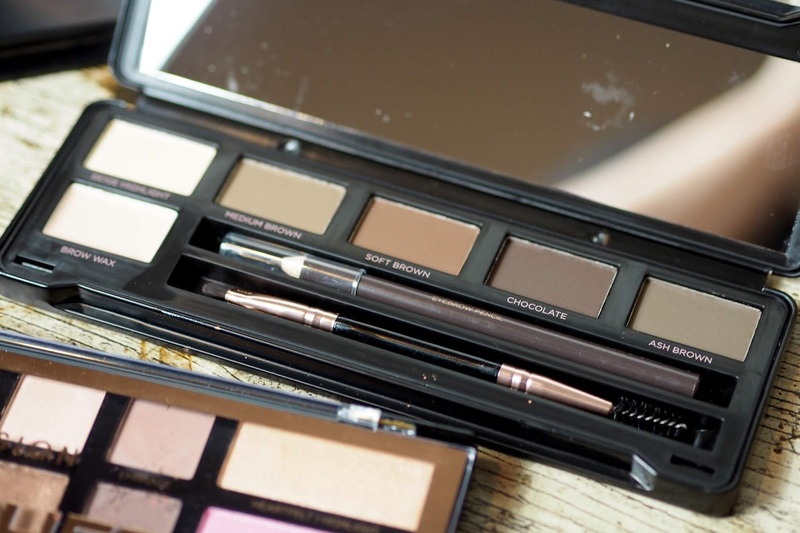 Last up, the Brow palette (£7.95) is such good value for what you get inside! The same kind of packaging, so it’s quite heavy but very durable and you know that the shadows won’t get smashed. The palette contains 4 Eyebrow Powders, 1 Eyebrow Pencil, 1 Brow Highlight, 1 Brow Wax & 1 Dual-Ended Brow Brush - the colours will suit most people as you can mix between them all to get the perfect colour for you and use the wax to set. 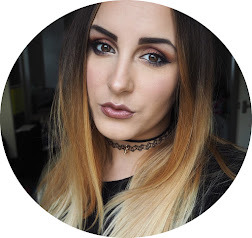 The chocolate brown colour works perfectly for me as it’s the darkest but I use the soft brown and pencil to fill in the fronts and carve underneath my brows for precision. 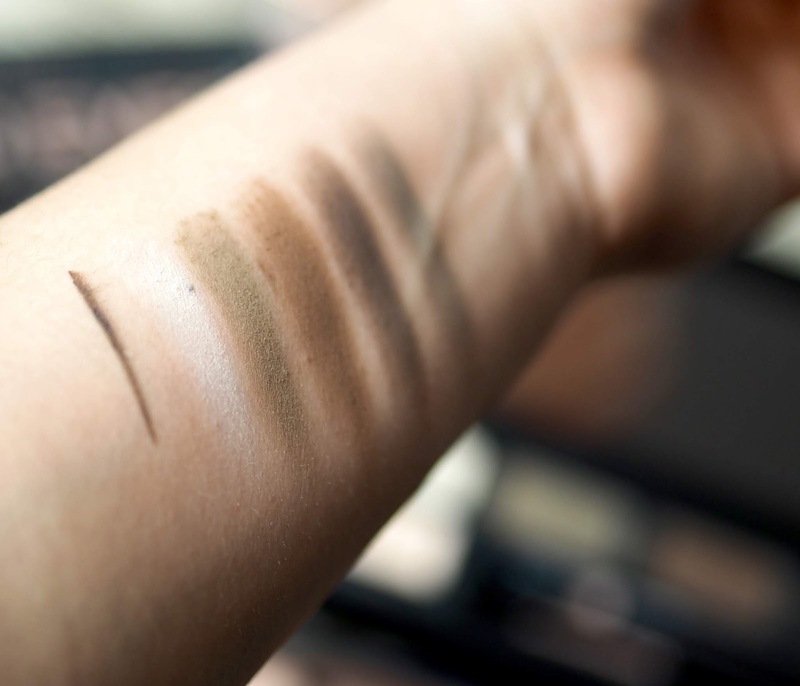 The shadows are bendable and the pigment lasts most of the day so they’re a better formula compared to the eyeshadow products. 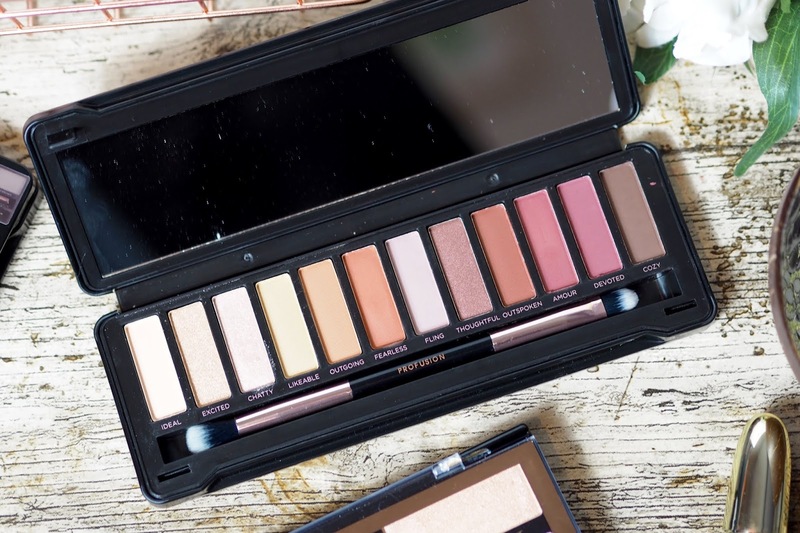 Overall, for the price of the palettes and the amount of shadows you get, they are all fab value however, the chalky shadows put me off in the eyes and cheek palette but the brow palette is something I use on a daily basis. 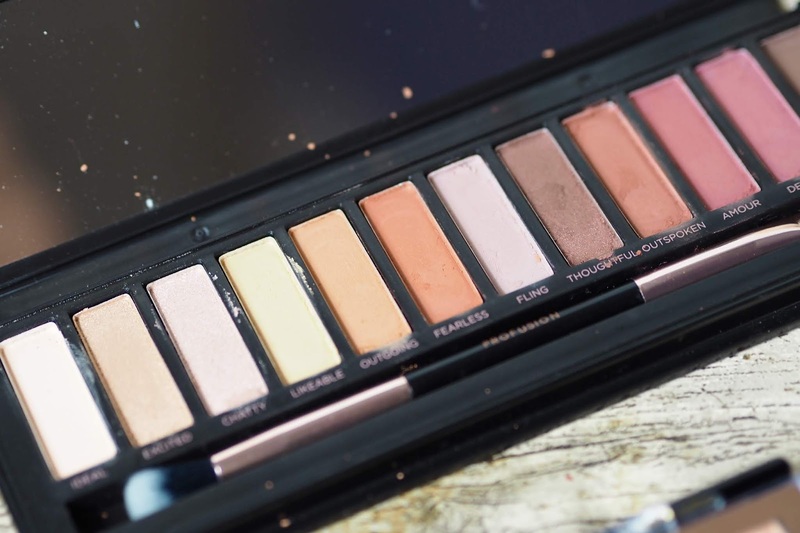 I do like the metallic shadows in the larger palette and the colours in the Amber eyes palette are gorgeous but I don’t find myself reaching for either of those and use other shadows that I have instead. 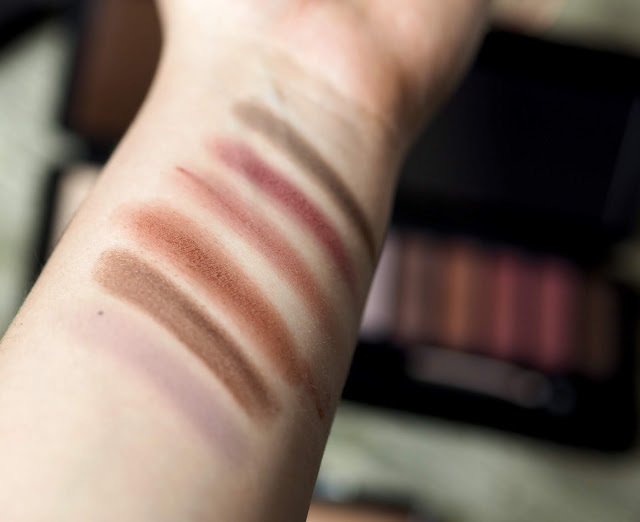 If you’re only just getting into makeup and want to build your stash, they’re great additions but for those of you who are used to higher end products, you’ll be disappointed.